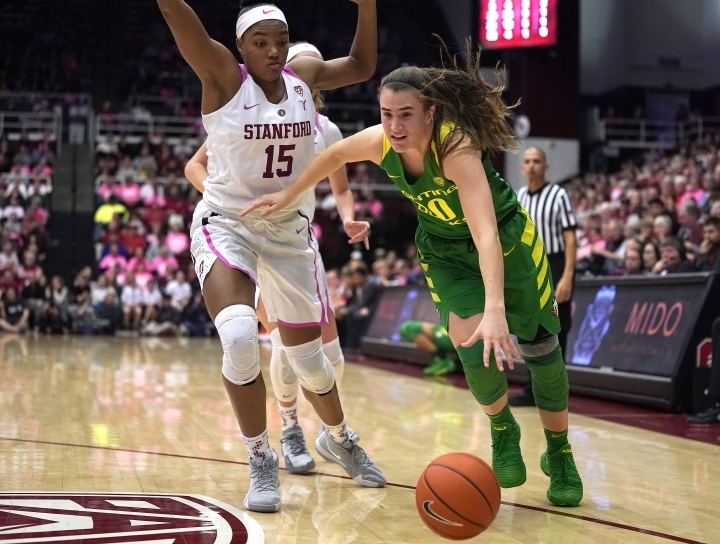 STANFORD, Calif. — Sabrina Ionescu's club and high school teams were in the stands, some 100 fans at Friday's game in Berkeley and again Sunday at Stanford to watch the Oregon star. 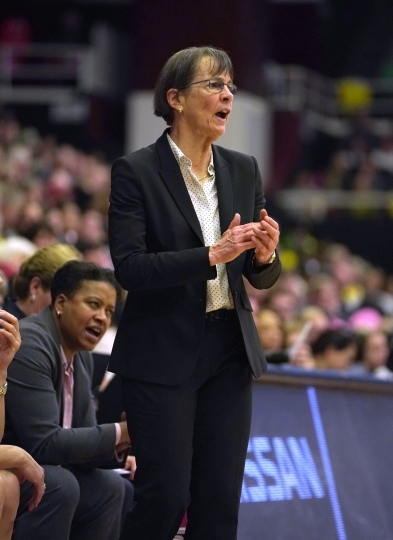 "We're used to looking at the scoreboard with the numbers reversed," VanDerveer said. "We've had a lot of great games in this building and this was one of our worst." 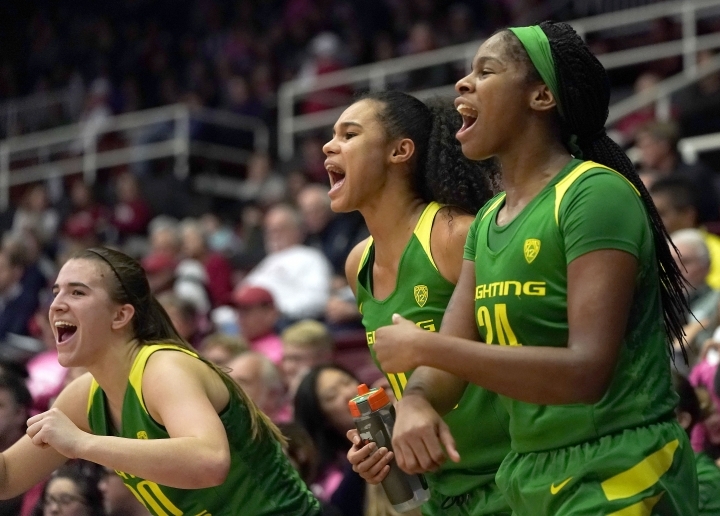 None of those streaks were on the Oregon players' minds — neither was the lopsided margin of victory. "No, I did not (expect it). 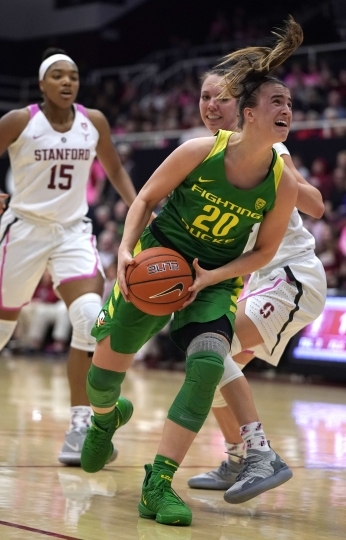 I know that we're capable of it and if we would be able to stop them defensively and get them out of their rhythm that we'd be able to score however we wanted offensively," Ionescu said. 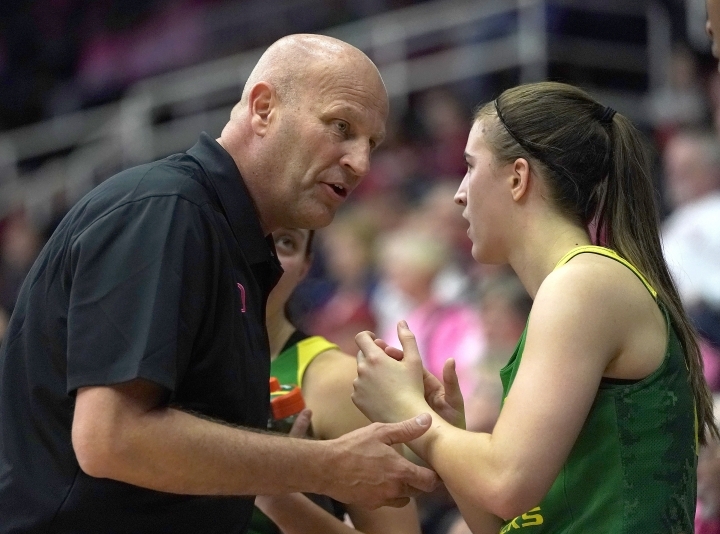 "I think we have so many threats on the offensive end, inside and outside. 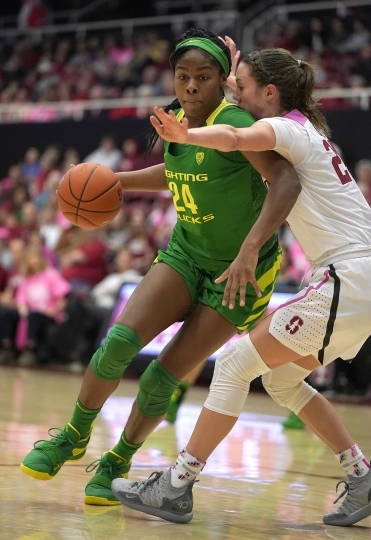 But I never thought that we were going to win by 40." 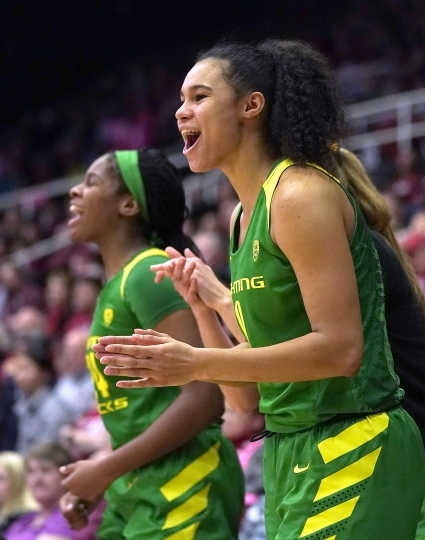 "Collectively it was our best defensive effort," Oregon coach Kelly Graves said. "It seems like when we defend well our offense seems to do better." 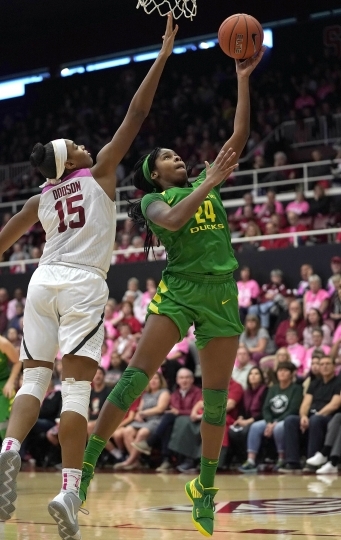 Smith, who was averaging nearly 21 points per game and had six double-doubles over her last 13, wound up with six points — going 3 of 14 — for the cold-shooting Cardinal. "Our team is resilient. 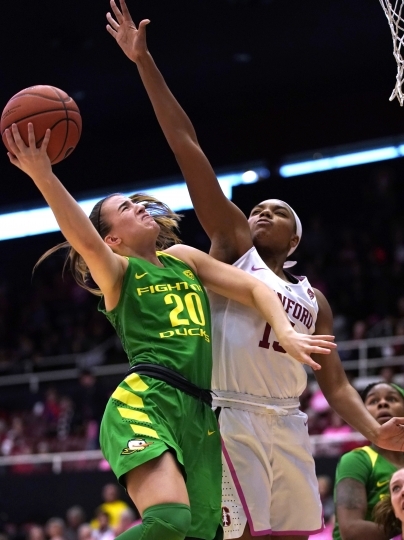 I think they will take it personally, which I hope they will," VanDerveer said. "We need people to learn from it. This is tournament time." 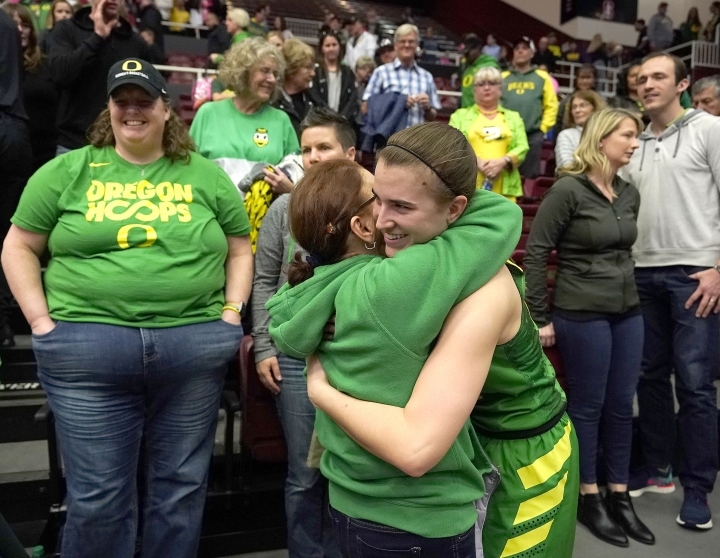 Oregon: Ionescu's mother, Liliana, sat on the baseline before the game with local sports agent Bill Duffy, a longtime friend of the family. 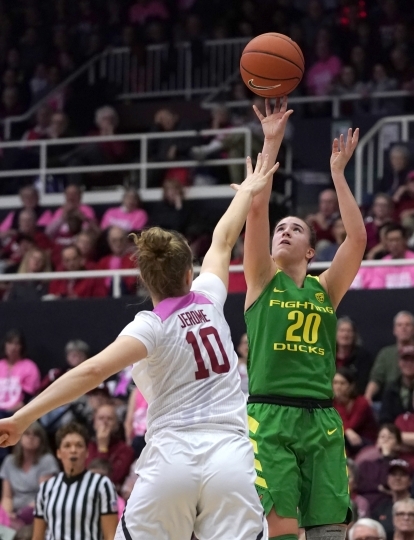 Ionescu's future at Oregon is unclear, as she may not return for her senior season. "I have absolutely no idea. 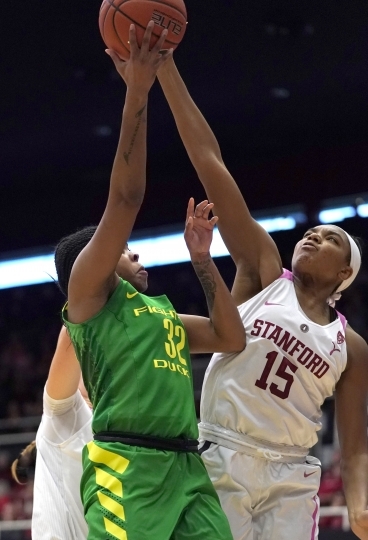 I'm focusing on what we're building here this year," she said of her plans. ... 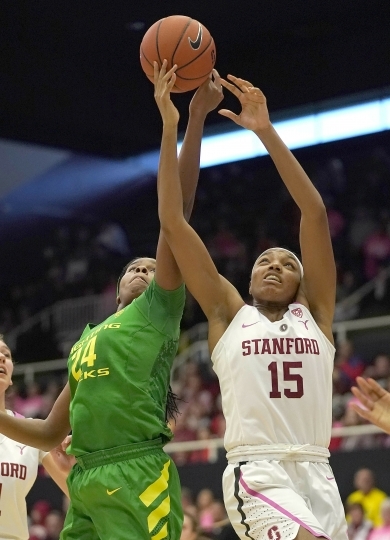 This marked the first visit of a ranked Oregon team to Stanford since the Cardinal beat the No. 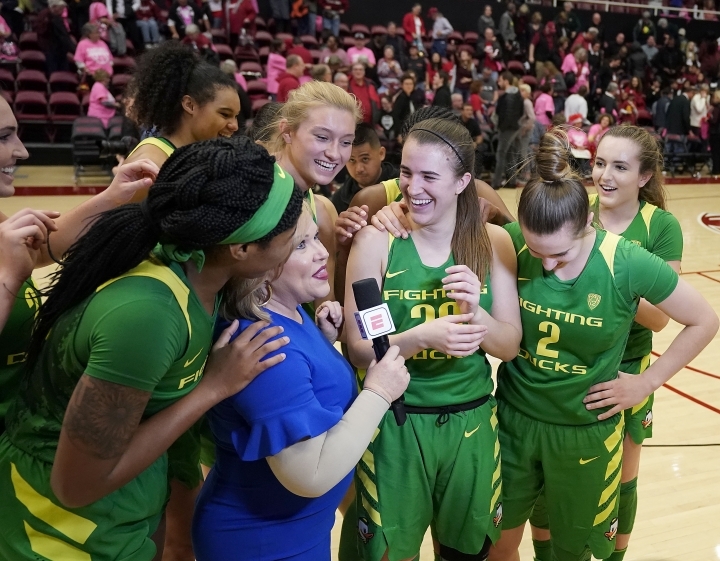 23 Ducks, 78-62, on Jan. 15, 2000. 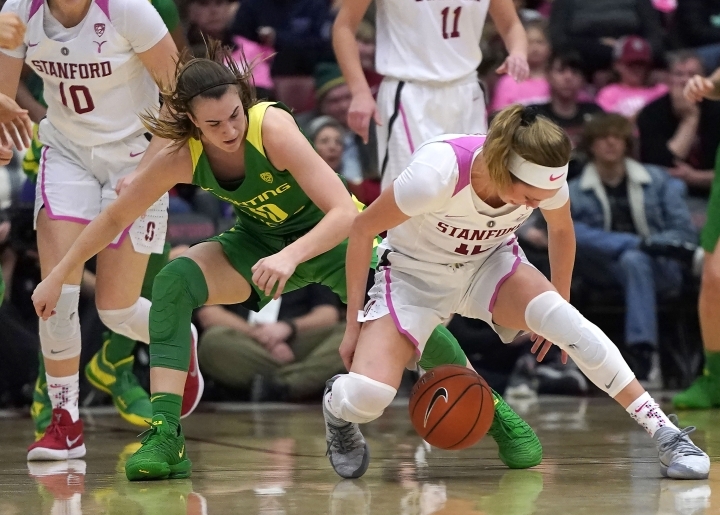 The two split last season's meetings, Stanford winning 78-65 in Eugene and the Ducks 77-57 in the Pac-12 Tournament championship.